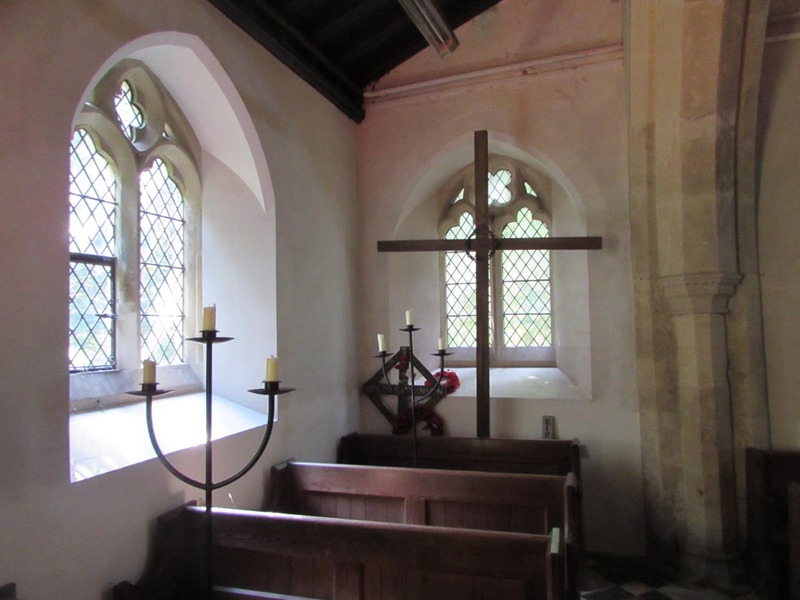 St. Augustine in Westbury is a small church tucked away in a tiny Buckinghamshire village. 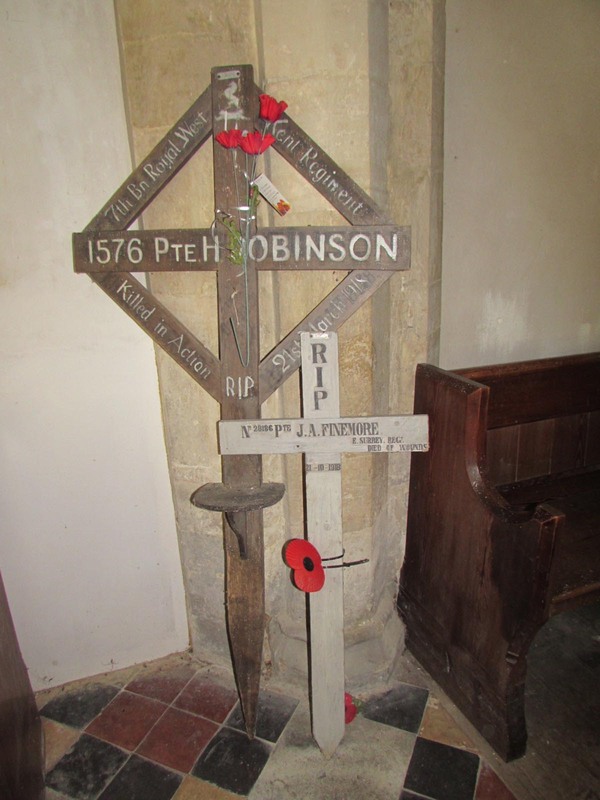 As you go through the church gate, the village war memorial is in front of you. 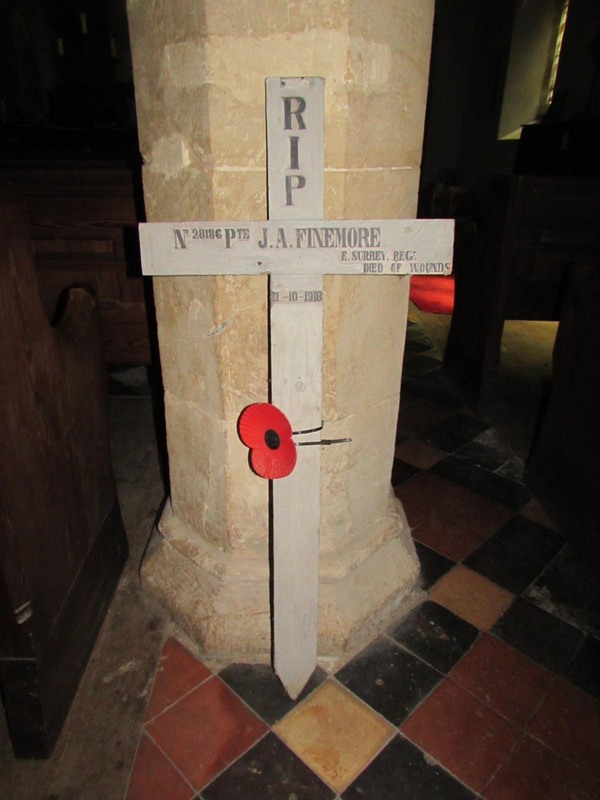 There are no names on it but a plaque with the roll of honour is inside the church. A huge 300 year old yew tree dominates the graveyard. 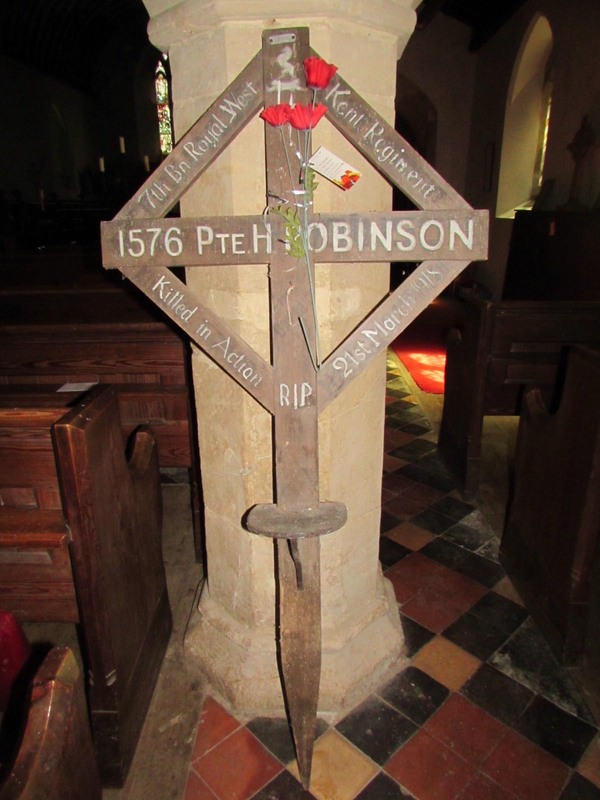 The two crosses are tucked away at the back of the church behind the last pew. They are simply standing up against the wall. I took them both out very carefully to photograph and measure them. One metal tag “GRU” at the top. Text type: painted. All inscriptions are painted on. It appears that the cross has been repainted around the original lettering. 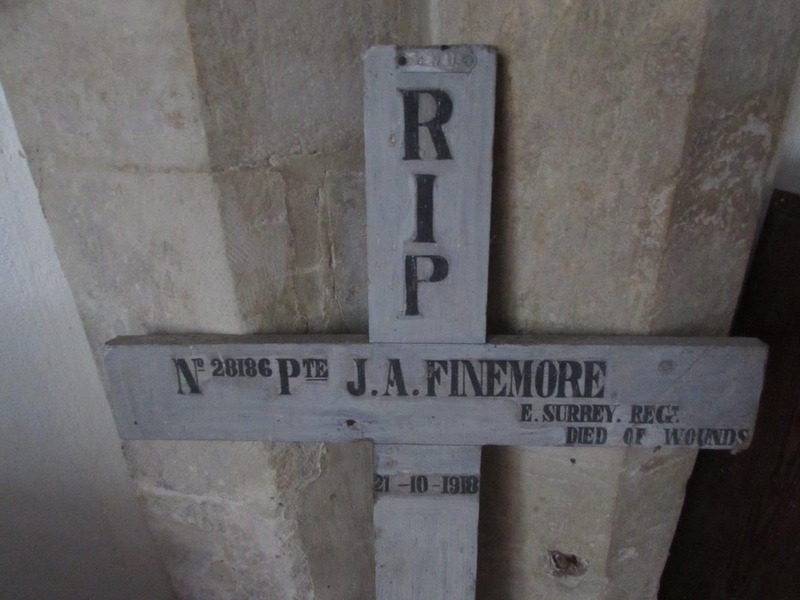 James Arthur Fenemore’s name is spelt incorrectly on the cross. 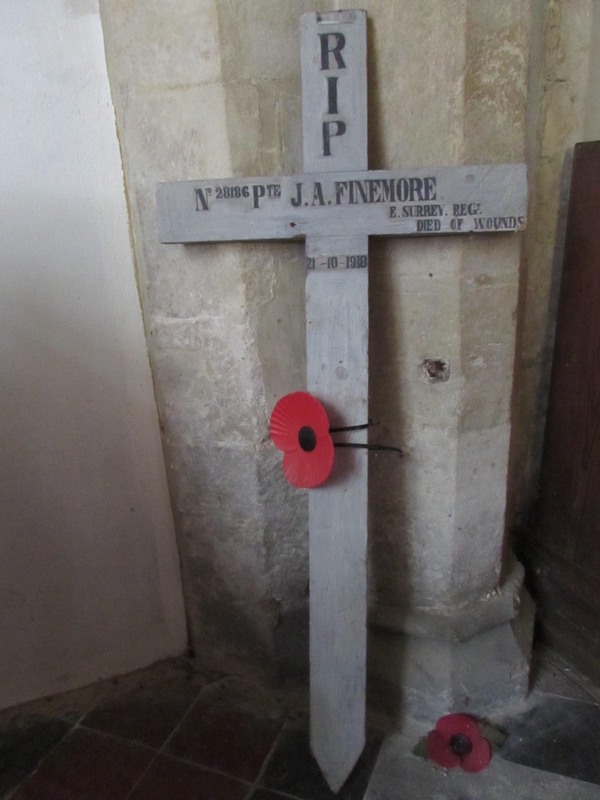 The cwgc and census lists him as Fenemore. 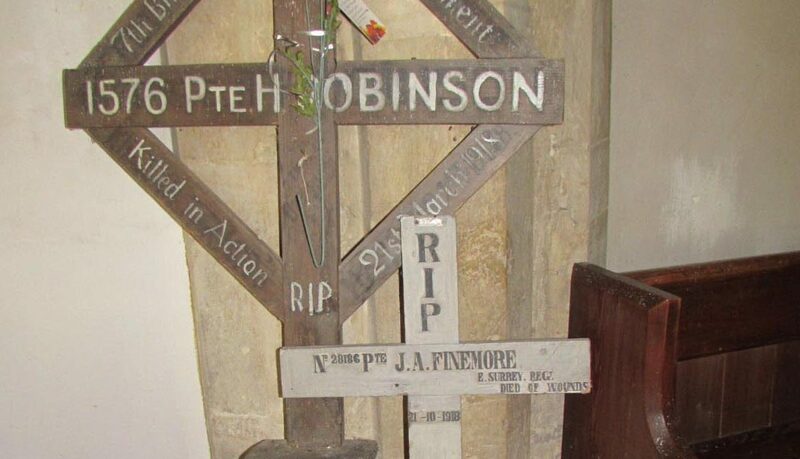 His cross has the name Finemore. He was the son of Charles and Emma Jane of Westbury. On the 1911 census James was one of 5 young men living and working as gardeners at Westbury Manor. 28186, D Coy, 1st Bn East Surreys. James died of wounds 21/10/1918 and is buried at Bethencourt communal cemetery, Northern France. Both Surveys and photographs courtesy of Suzanne Make. GRU tag at top of cross. 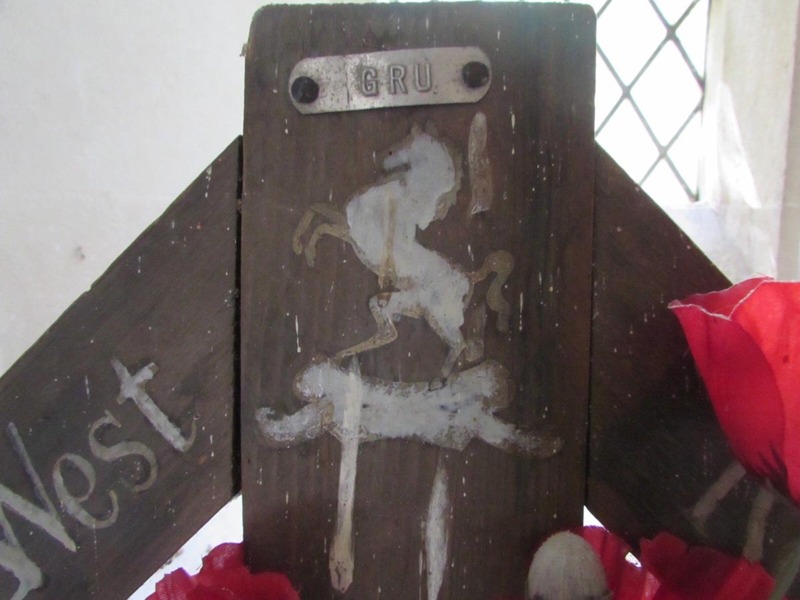 There is a picture of the Royal West Kent cap badge at the top of the cross, underneath the GRU tag . Evidence of use in field: bottom of cross has some evidence of earth insertion. There is a little “shelf” attached to the bottom of the cross. It appears to be original and not added later. 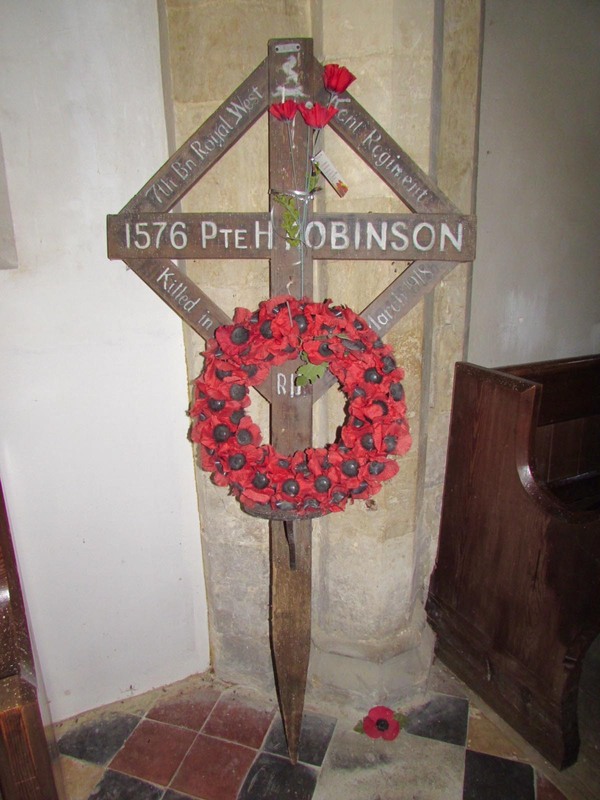 A bunch of silk poppies are attached to the cross with a small tag attached from the family. 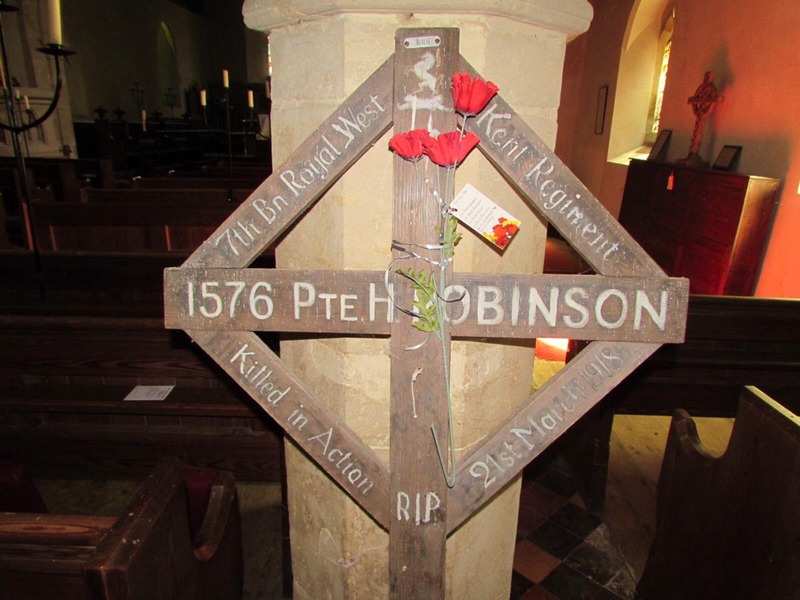 In remembrance of Harry Robinson our great uncle. Les & Len Robinson and all members of the Robinson family. Harry is buried in Chauny communal cemetery British extension after being reinterred after the armistice.